Good morning and thanks for stopping by today. 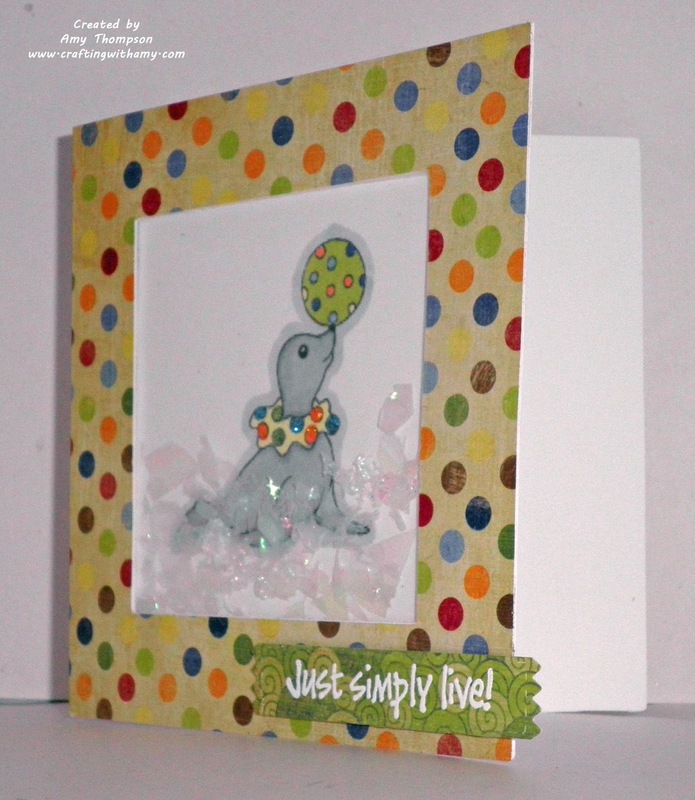 Here is a card that I made for the Fantabulous Cricut Challenge Blog - Challenge #172 Make A Splash. 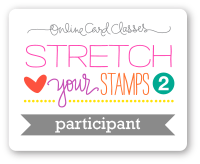 For this challenge we all used some adorable digi stamps from The Paper Nest. 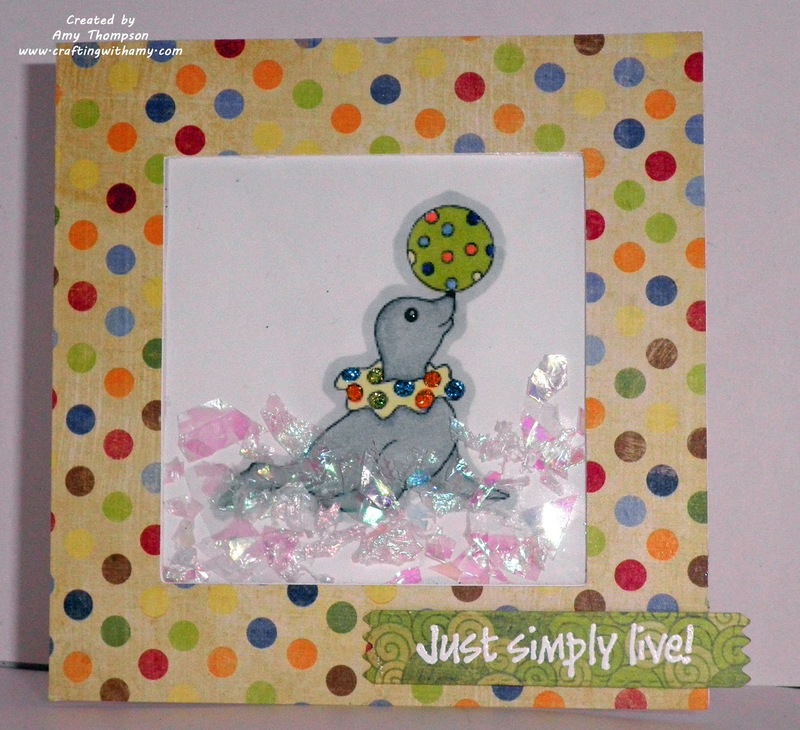 The digi I used in this card is Circus Seal Sammy. I used Beyond Birthdays Cricut cartridge for the card. I used some Spectrum Noir markers to color the digi, stickles, cello glitter from Creatology, and some Grafix clear film to keep the glitter in the card. I wanted to make a window card using some glitter. 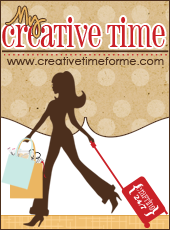 I then used My Creative Time Just Simply Live for the sentiment and the banner. I stamped the sentiment with Versamark ink and white embossing powder. The paper that I used was Fancy Pants Beach Bum. I hope this card inspired you. Please check out the challenge over at Fantabulous Cricut Challenge Blog. Thanks for stopping by. Wow-what a great idea for the window card-your coloring job is fantastic! The polka dot paper and on him look so great. He is adorable!! Such a fun card! Very pretty! Love how his color matches your patterned paper. Cool window card! Super cute! I love the window card, and your seal looks so cute!! This is terrific, I love the sparkle you added under the seal! !